With Day Plan, you'll never miss an appointment again. 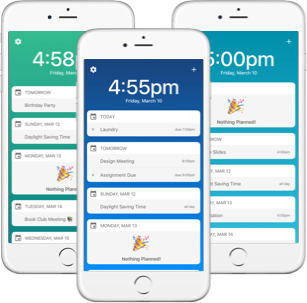 Day Plan groups all your events and reminders, where you can easily read them. This app was exactly what I was looking for. It is simple and modern, and gives me a clear look at my day to day appointments. It is easy to navigate and add events, as well as sync to my other calendars. This app makes it so easy to know what I have to do for the day!